No one argues that blogs and blogging are in fashion lately. It’s very easy to have your own space to write especially when there are such platforms like WordPress. To have a successful blog is not only about a layout, catching title or interacting text. 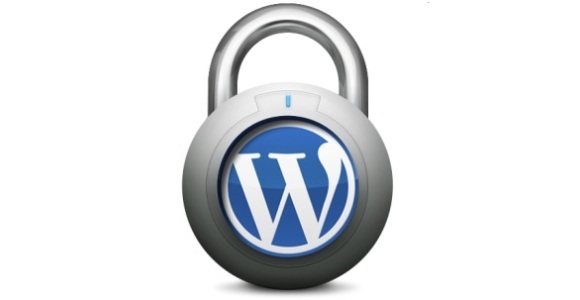 You should also think of your blog security to avoid huge problems with hackers and scammers. It’s not as hard as it might seem. I will list several main points that will help you to sleep calm at night. • Don‘t be lazy to reset your default login name. A set login name for WordPress is Admin. Change it to something else but not the name you use when blogging. This simple advice will make hacker‘s work twice more difficult. • Reset your password on regular basis. It is a very well known advice, alas, not everybody follows it. Use a complex password, do not use the same password to all logins you have, change it at least every three months. • Check for updates regularly. None of platforms is perfect and its developers keep improving it constantly. Follow these improvements on WordPress support forums and upgrade as soon as these are released. Pay special attention to plug-ins since these are easy attack for hackers. If you do not use any plug-in, remove it. • Set a default number of attempts to login to your site. This can be done using such plug-ins like Login LockDown. Although it will not protect your site from brute force attacks using a dynamic IP address or accessing through a proxy but this will help in most of cases. • Change default WordPress database table prefix to your own. Although it might seem a small thing to do but it will make harder for the hacker to damage your blog. • Turn off indexing of directories. To follow this advice all you need to do it to write ”Options All – Indexes” in your htaccess file. • Conceal your WordPress version. None of the versions is perfect. It makes it easier for a hacker to infect your blog knowing particular version’s exploits and vulnerabilities. Infected websites host exploit packs, which distribute Trojans and Rogues like Live Security Platinum. These parasites endanger your readers and search engines might block your site temporally till you clean up the infection. • Make copies of your blog regularly. In case of the worst, if your site gets hacked, you will be able to restore it much easier. To follow these simple tips will not consume lots of your time. It is definitely less hardship than if a site gets hacked and recent examples of internet criminal activity prove that hackers work as actively as always.